with 100% Made in the USA Apparel. 100% USA Made and Union Made. Top selection of popular products. World class decoration services including embroidery, screen printing, and more much more! Leader in Work and Safety Wear. Full cost disclosure, no hidden fees. Broad selection of products including wearables and promotional items. Award winning original design services including full concept to custom product programs available. Our job – our ONLY JOB – is to make you and your business look great! We take our role seriously and we work closely with you every step of the way. From the early stages of choosing the apparel, creating or tweaking a logo design, and ordering samples, right through to delivering the apparel to your sales and service teams and offering them additional, online ordering options. Enjoy our broad selection including new styles, colors, sizes and more – we offer a huge selection from top brands like Union Line, All USA Clothing, King Louie, American Apparel, Carhartt, Camber and many more. Our wholesale t-shirts, polos come with or without a pocket - in a rainbow of color choices and many different fabrics. We even have extended sizes and eco-friendly fabrics! 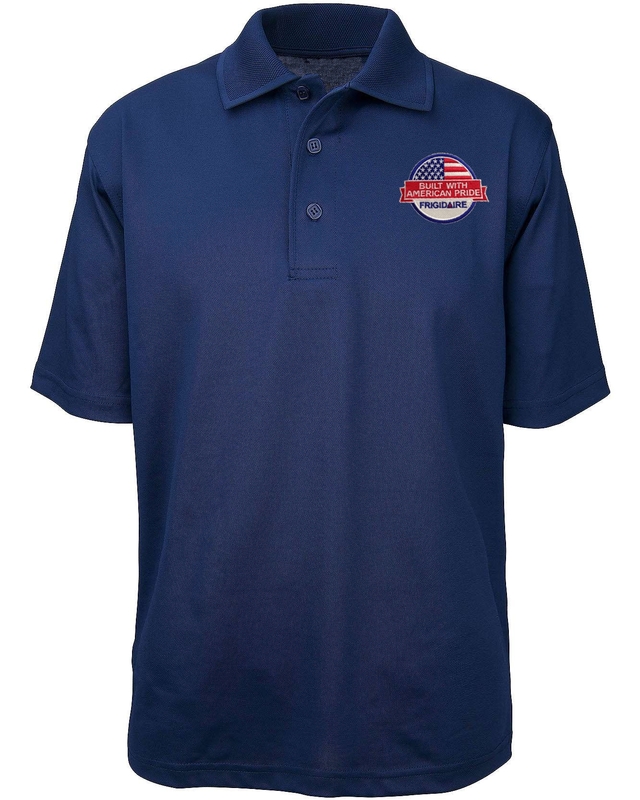 Our top seller is our American Made Men's Moisture Dry Short Sleeve 3-Button Polo Shirt. This may be the perfect polo! It's practically maintenance free. It is made of a lightweight poly that breathes, doesn't snag easily, doesn't wrinkle easily, doesn't fade or shrink, and features a collar that never curls. There's just enough spandex to stretch a little, but not enough to affect the drape of this Made in the USA shirt. Plus, the no-curl collar offers a very distinctive, upscale look that makes this polo the ultimate in comfort, quality, and style. Getting your employees to look sharp and get noticed is easier than you think. And when your employees wear 100% American made polos, sweaters, jackets, etc., they'll exude more confidence than ever before. There's something special about a product that's made right here in the USA. From initial consultation to order fulfillment, a member of our knowledgeable staff will guide you through every step of the process. Screen print, embroidery and more, our award winning experts will make sure that your decorated goods make your company or organization shine. 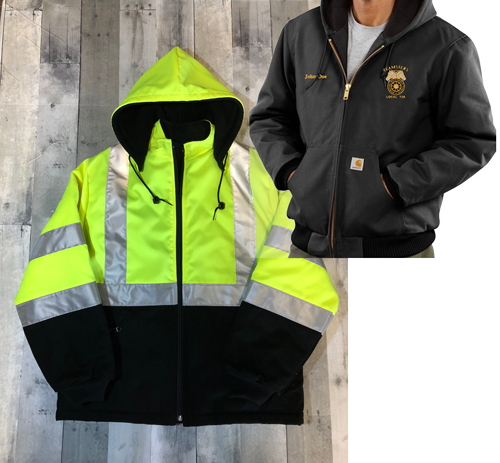 Whether it's reflective safety wear or heavy-duty work wear, we can supply your team with shirts, jackets, hats, and more. We’re one America’s largest designers of heavy-duty workwear and safety wear. When being seen equals being safe, count on our bright, high-visibility clothing and reflective gear! 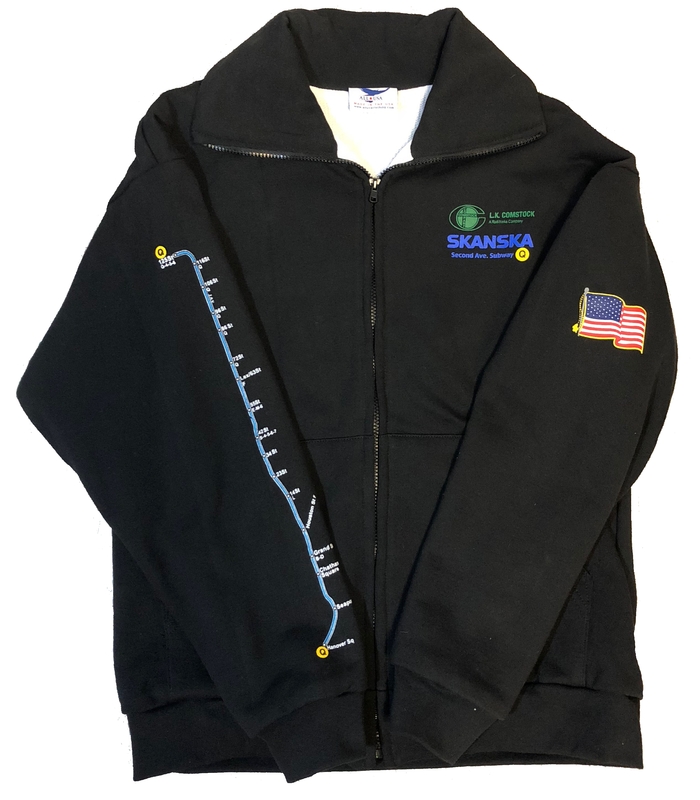 Choose from T-shirts, fleece, sweatshirts, vests and caps. 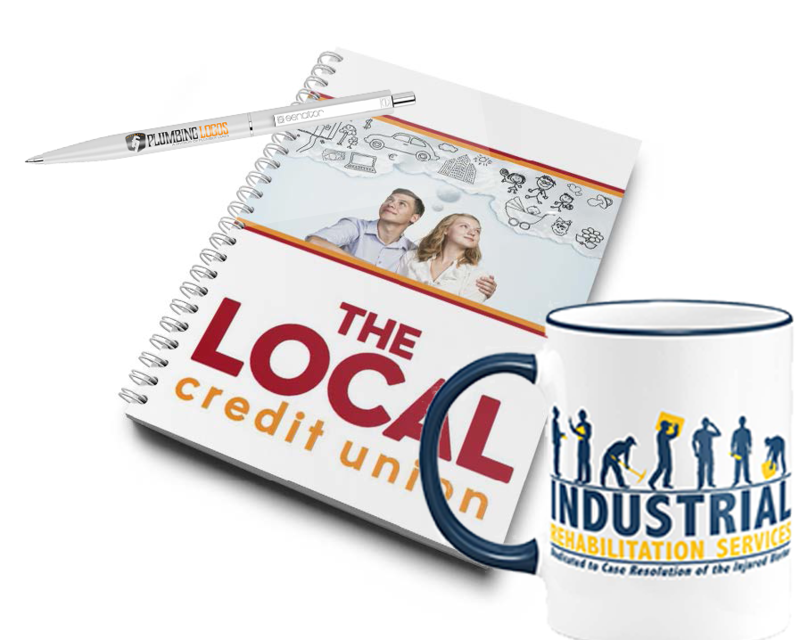 Maximize the impact of your branded apparel with American made promotional items such as pens, mugs, note pads, tote bags, and more! Let our Design Team help you enhance your current logo, create a new logo, or create a new branding campaign. Are you looking to create your own brand or customize clothing directly for your company’s needs? 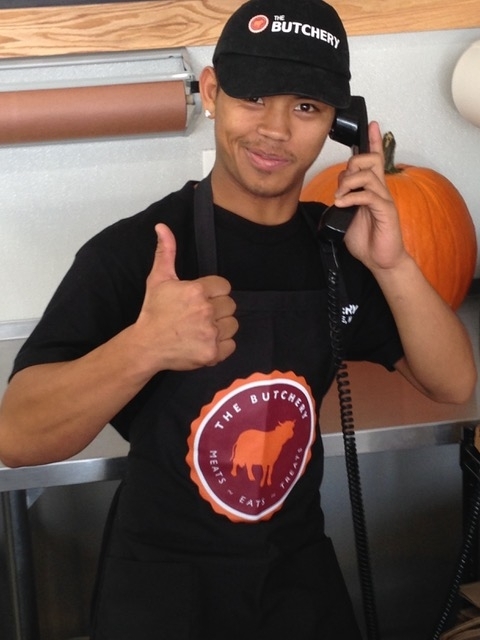 We now offer private labeling on our high-quality, cost-effective bulk clothing! Are you looking to create your own brand or customize clothing directly for your company’s needs? We now offer private labeling on our high-quality, cost-effective bulk clothing! 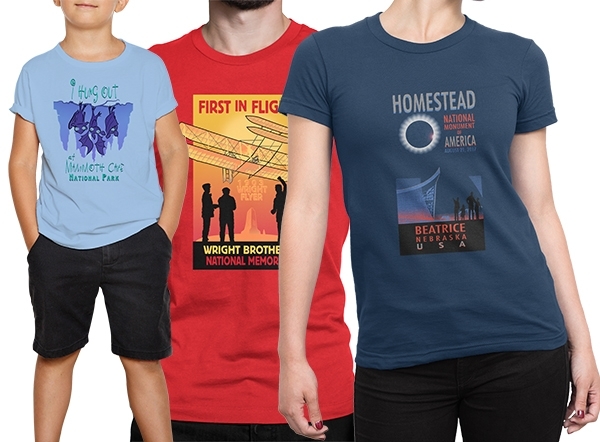 American made clothing from All USA is more affordable than you think. Call our Wholesale Team at 1-877-549-8721 for more information any business day from 9am to 5pm EST. Please fill out the form below or call us at 1-877-549-8721 ext. 2. *Help us get you the right information - please check all that apply. Which of our products or types of products are you interested in? Are you interested in our decorating services?